Say No to late delivery, No to cost overruns, No to mediocre team performance. Inquire about our corporate Scrum and Agile Workshops. We would be glad to help your organization be Agile, delight your customers and achieve Growth. 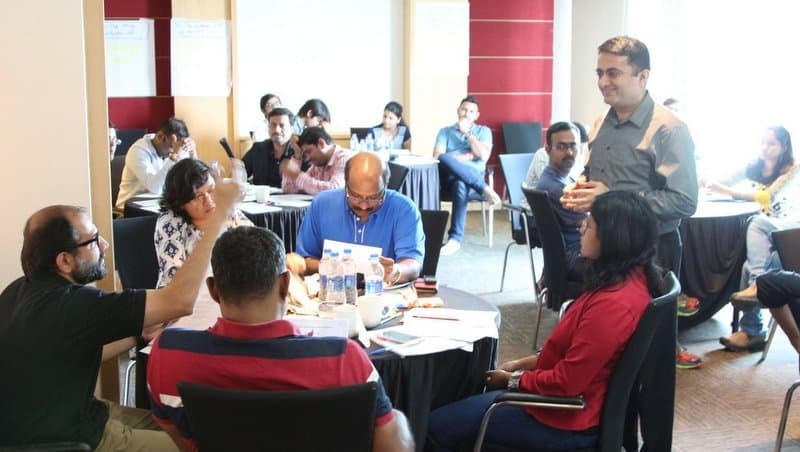 Our Agile and Scrum training courses are designed to be experiential, engaging and fun. Our trainers bring real life experience implementing Scrum and helping dozens of teams implement it. Simplify the world of complex product development with the help of our expert Agile Coaches. We offer Enterprise Agile Coaching, LeSS Coaching, Agile Leadership Coaching and Lean Product Development Coaching. We offer corporate, on-site and public Scrum Training. Certified ScrumMaster CSM Certification Workshop, Certified Scrum Product Owner CSPO Certification Workshop, and custom Scrum Master and Scrum Product Owner workshops. 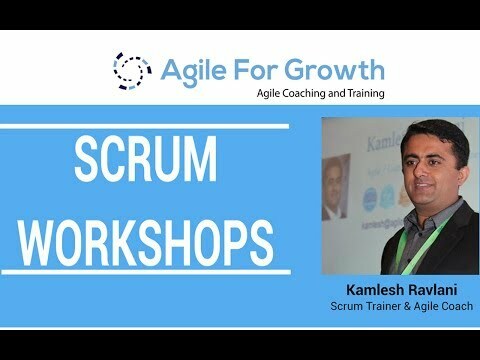 Kamlesh Ravlani – Scrum Trainer and Agile Coach brings vast experience conducting in-house custom workshops to suit your needs such as: Agile Team Boot Camp, Experiential Scrum Master Workshop, Agile For Leaders, Agile Leadership, LeSS Framework Training, Google Sprint, Design Sprint, Facilitation and Agile Coaching Workshop, and Kanban Workshop. Our workshops are interactive, engaging, practical and offer 100% satisfaction guarantee. Get a quote for your corporate Scrum / Agile Training needs. We offer Enterprise Agile Coaching, Agile Leadership Coaching, and Team level Agile Coaching services. We focus on getting you sustainable improvements in your organization’s overall performance and business agility by helping you simplify, reduce waste, improve customer collaboration, make product discovery effective, reduce risk from new investments, improve ROI, increase product development, and product delivery capabilities. We help leaders and your teams with improving organizational culture, organizational structure, and processes for getting sustainable benefits. Learn how our Agile coaching service is helping organizations and leaders be Agile. Agile For Growth acquires Objectbay Consulting Pvt. Ltd.